It's a word we all use, we are decentralized when we use cryptocurrency. Regardless of what currency you call your own, that one currency that you use every day, you are not bound to any central authority. None can say to you that you can or can't do the transaction you wish to do. Your wallet is a node in a larger network that connect to each other in a decentralized manner. The Blockchain is the ledger that everyone agrees on for knowing who owns how much. None can manipulate this ledger, that's the main advantage of the decentralized cryptocurrency blockchain that was once started with Bitcoin. It's the foundation of all. It doesn't matter if you are a full blown cryptohead or just a minor token trader, you will at some point have to trade Fiat currency to a cryptocurrency that you desire to own. Whenever you send money or cryptocurrency to an exchange they will record this to their ledgers, it's their way of knowing who owns what. You are now relying on a central point, the exchange, to keep accurate records of this. Their ledger aren't public and there is no way to know if the ledger is manipulated. Suddenly we are relying on a centralized system for something that everyone wish to be part of, the revolutionary decentralized blockchain of your desire. Any currency stored on an exchange isn't yours more than the fact that you rely on them to keep their word that they can keep track of it. They are the owners, your currency is just a number in their ledgers saying they are your part of their asset. What if you could somehow trade any asset for another, but not have to rely on the central point of failure - the Exchange Ledger? This is possible with the BitShares DEX (Decentralized Exchange)! The BitShares DEX keeps the ledger record for your assets in the blockchain. It's impossible to manipulate, and you can always know who owns what and what's happening on the trading platform. Your assets are stored in your BitShares wallet, the exchange never has them and can never run away with them. The system works exactly like any other cryptocurrency wallet. It works like the Steem wallet where you log in to the blockchain system with either the web API or a local program that connects much in the same way as the browser. As You are the only one that knows the private keys none can run away with your assets, they are completely yours and yours only. The Blockchain Ledger is based on the Graphene blockchain system, the same system that are now also the foundation of the Steem blockchain. A Delegated Proof-of-Stake (DPOS) witness system that makes it very secure, accurate and fair as stakeholders can vote for the witnesses that keeps the ledger up-to-date. The ultimate goal for BitShares is to be a stable income/expenses system and to have leftover cash at the end after paying witnesses and works. There are small fees added to each transaction on the system to keep it running where Lifetime Members pay fees similar to $0.04 per transaction, while users pay fees similar $0.20 per transaction. Lifetime Members pay a one-time fee, currently 1456 BTS, to reduce their trading fees to 20% of normal. Users is everyone else, they pay normal fees on the platform. Separation of Powers: There is no reason why the same entity needs to be responsible for issuing IOUs and for processing the order book. In BitShares, order matching is performed by the protocol, which is unaware of implications concerning the involved assets. Global Unified Order Book: Since BitShares is global, anybody with an internet access can use the DEX for trading. This brings the world's liquidity to a single order book for decentralized trading. Trade Almost Anything: The BitShares DEX is asset agnostic. Hence you can trade at any pair. While some pairs may end up with low liquidity, such as SILVER:GOLD, other pairs such as USD:EUR for FOREX trading will see huge volume. No Limits: The BitShares protocol is unable to limit your trading experience. Decentralized: The DEX is decentralized across the globe. This not only means that there is no single point of failure, but it also implies that the BitShares exchange is open for trading 24/7 because it's always daytime somewhere. Fast: In contrast to other decentralized networks, the BitShares DEX allows for real-time trading and is only limited by the speed of light and the size of the planet. Provable Order Matching Algorithm: What makes the BitShares DEX unique is the provable order matching algorithm. Given a set of orders, you will always be able to provably verify that these orders have been matched properly. Collateralized Smartcoins: One of the biggest features of BitShares are its smartcoins such as bitUSD, bitEUR, bitCNY, and others. For the sake of convenience, these assets are denotes simply as USD, EUR, CNY, etc. in the wallet. These digital tokens represent the same value as their underlaying physical asset. Hence 1 USD in this wallet is worth $1 and can be redeemed as such. Any of these tokens is backed by BitShares' company shares (BTS) being locked up as collateral and being available for settlement at its current price. There isn't a difficult system to sign up with. 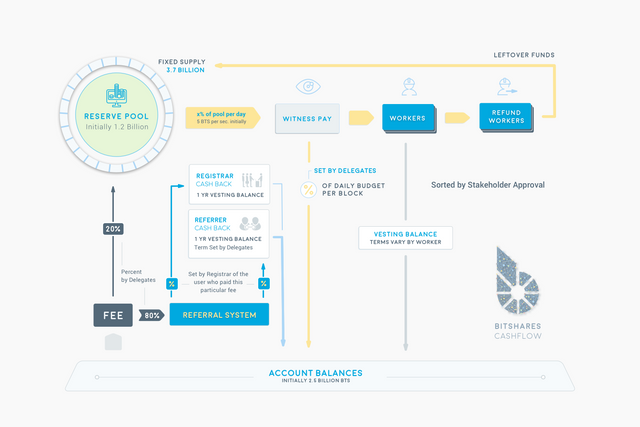 You create an account on the BitShares platform trough a range of web wallets or their light client. But first, lets look at the two different ways of creating an account. The wallet model offers the most secure way. It's restricted to the current browser that you use. To access the wallet on another system you need to export the account to a backup-file or a brainkey and import it on the other system. Maximum security. The account model offers more easily account access. With only a username and password access it's easy to access from any location whenever you wish, but should be protected with a VERY long and random password to make it less vulnerable to brute-force attacks. It's highly recommended to the Wallet model, but it's all up to you as a user and what specifications you have. The BitShares Light Client to sign-up or access it later on. Any system can access the account later on. 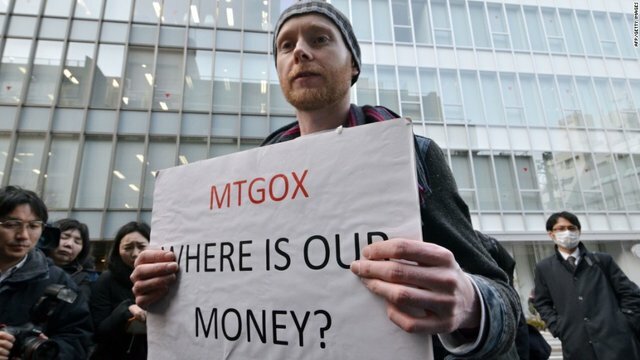 With places like Mt.Gox, BitStamp and others in everyone's fresh memory the recent issues on the Poloniex exchange has put everyone on edge. Never let this happen again and be sure that your funds really are yours. Thank you. I would liked to have seen it six months ago. I started using Bitshares, but found it more a learning curve than "traditional" exchanges that make trading easy. It wasn't until I re-considered Steemit and started understanding blockchain better that I'm also headed to "all in" with Bitshares. It reallyis an impressive paradigm shift in so many ways. Learning about Bitshares via youtube and actually reading the Bitshares docs - what a novel idea - will likely get you pretty excited. Granted, low volumes is an issue, at least for the immediate present. The bitAssets are fantastic and allow a little investor the same advantages as derivative trading houses - only in fractional amounts and with far better security. It you're considering margin trading... Be careful and have a solid understanding of how it works and consider much higher margins than traditional stock market margins.... One kind soul advised 8:1 for some issues. My loss experience proved his suggestion correct. It only takes a couple of losses at exchanges through deposits not credited, trades suspended, and withdrawals frozen to know that the DEX is a better alternative. C'mon, get into Bitshares. We can all benefit through the lower fees and higher volumes. With Bitshares not only can we be our oun central banks, thanks Greg Mannarino for that idea, we can be our own trading houses. Just do it! As you say, it can be quite steep. I myself also went the same path. I actually found BitShares before steemit, but like you I never fully got it until I joined steemit and realized that it's the same system under the hood. As I learned about the system making steemit run, Graphene, I also learned more about BitShares and the way it works. So I joined in there as well, and I'm glad I did. I definitely want more understandable commentary on the crypto currency world coming through my feed, so I am going to follow. I must confess to a certain nerd reason as well. You have Killua as your prfile pic. Hunter x Hunter!!! Then, I will take the liberty to nerd out on this just a bit. It was one of the first anime I saw before I knew Japanese tropes, themes, etc could be pretty different than American ones. From an American point of view, I was expecting tension to develop between Gon and Killua as a major theme. I think this would have happened in an American work. The plot tension would have been about a bond breaking. In Hunter x Hunter, it is about a bond NEVER breaking. That is just brilliant. Also, the arcs just keep getting more and more ambitious. The Chimera Ant arc is such a grand, huge story. The manga goes a bit beyond the end of the Ant arc. Even though the author was well into his frequent hiatuses period, he did not hesitate to lay the groundwork for an even grander arc than that of the Ants. Man!!! I love me some Hunter x Hunter! Always happy to hear it helps someone to better see the overall perspective when I post something like this. Welcome aboard. when you get the time, could you post a tutorial on moving funds back and forth from Steemit to Bitshares, and back? Of course! I will make sure to put a post up regarding transferring funds back and forth on the BitShares DEX in a few days. However, as it costs to become a witness since you need to be a Full member as well as that you need some big support to actually earn something, you need to be top 20 witnesses to earn something, I'm still waiting to build up some reputation. If anyone wishes to sponsor me, talk about my plans to be a witness or support me by saying they will vote for me I'm not far away from making one if I know I get the support I need. I did set up Dex a while ago and checked if I could trade Gridcoin there. Only downside seemed to be the volume, at least when trading GRC. Maybe other currencies have more volume. Will surely read this article more thorough later at a better time. Thanks for the great info sc! Yes, the GRC has a very low volume on the BitShares platform. But it's there and has the potential to grow as it's a ver good coin that has great potential and prospects. Quote "These digital tokens represent the same value as their underlaying physical asset. Hence 1 USD in this wallet is worth $1 and can be redeemed as such. Any of these tokens is backed by BitShares' company shares (BTS) being locked up as collateral and being available for settlement at its current price." Where does the acquisition and redemption of these smartcoins take place. How do you trade 1BTCfor 1 bitBTC and back? It's the only reason I'm still using centralized exchanges. You can use BTS for collateral and buy bitUSD and other assets, if that's what you're thinking on? Oh, that's a risky business. Done that on one of those Bit Lending P2P sites a long time ago, BTCJam, only got parts of my investments returned again. Now I am in two minds whether to keep lending or not. I was under the impression it was safe to lend because the trader borrowing the funds would automatically be liquidated by the system if there position fell below a certain %. Obviously there is the potential threat of the exchange being hacked or going rouge but 30% APR return on Bitcoin is so tempting. Thanks for the info. Great post!